The mood of the scene is the writer’s GPS. Adjusting the emotional distance creates a level of emotional tension that parallels the mode of the story. 1. The action prompting the character’s reaction. 2. The traits assigned to the character guiding how the character views life in a range of introversion to extroversion. 3. The character’s fears and past wounds. 4. The character’s goal or problem to solve. 5. The character’s knowledge of the incident. 6. The ability of the character to honestly process information. Some scenes require a close emotional distance, such as a character’s revelation or facing a hard truth. Other scenes may have more impact with greater distances such as a character who doesn’t have all the information. An unstable character, especially one who is insensitive, evil or selfish, can set the stage for a gripping scene. Everything is told from the narrator’s viewpoint of “I.” The advantage is intimacy. It’s easy to believe what the character says, thinks, does, and experiences—like a friend telling you about an event or reading someone else’s diary. Multiple first-person POVs with varying degrees of emotional distance are powerful stories. The following are examples of first person from distant to close. Note how each sentence brings the character closer to the reader. I saw heavy traffic from my office window. I saw more trucks than cars in the heavy traffic. Julie’s BMW emerged from the heavy traffic like a silver bullet, and I held my breath until she exited safely. I followed the woman through the mall. I followed the young woman dressed in jeans through the mall. I followed the young woman dressed in jeans and red stilettos through the mall and labeled her as my next victim. Multiple first-person is becoming more prevalent. In third-person, the writer uses “he,” “she,” or the character’s name. Third-person is the most prevalent among writers. Multiple third-person POVs gives the writer a variety of perspectives from which to show the story. The following are examples of third person from distant to close. Again, note how each sentence brings the character closer to the reader. He saw heavy traffic from his office window. He saw more trucks than cars in the heavy traffic. Julie’s BMW emerged from the heavy traffic like a silver bullet, and he held his breath until she exited safely. Jean agreed to go to the baseball game. Jean agreed to go to the baseball game although the opposing team was favored. Jean feared the home team might lose again since the opposing team’s pitcher had pitched three straight shutouts. Look at your own story. Do you see where varying the emotional distance can add dimension to your story? DiAnn is giving away a copy of her book, BURDEN OF PROOF, eBook or print. (Print copies in U.S. only, please!) Leave a comment, along with your contact information for your chance to win! safety quickly turns to fear when a man claiming to be the girl’s father abducts them at gunpoint. April puts her hostage negotiation skills to use to learn more about who she’s dealing with: Jason Snyder, a fugitive accused of murder. As a reader, I love getting behind-the-scenes glimpses of how writers work their magic in books! :-) Thanks for sharing how you create emotional distance in yours. Personally, I prefer multiple points of view in a story, it seems more well-rounded and gives me deeper connection to each character. 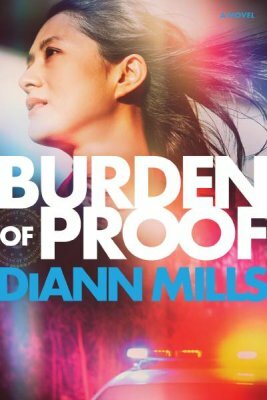 Thanks also for the giveaway chance to win a copy of Burden of Proof, DiAnn! Hi Trixi, thanks for your comments! I do always expect an adventure when i read your books. Reading has always been part of my life. Thank you for some insights into the creation of those books that I enjoy reading! 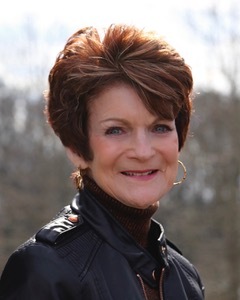 Hi Linda, thanks for posting and for reading my books! Oh, I can't wait to read Burden of Proof! Does it ever sound good! Thanks for the refresher on POV and Creating Emotional Distance! Great information. It was so interesting to learn just a snippet of what goes into writing a novel! Thanks so much for all the hard work you put into your novels. I can't wait to read Burden of Proof! And thank you for posting! Hi Lual, thank you for your kind words! These are really great tips for writers and I enjoyed, as a reader, seeing how the POV can really affect the story. Thanks for sharing with us today and thanks for a chance to win your book. Hi Connie, you are so welcome! Hi Lucy, I appreciate your posting for the giveaway! Hi Mark, appreciate the encouragement! As a reader, I enjoy learning about the writing process. Thank you for the opportunity to win a copy of Burden of Proof. Hi Caryl, I appreciate your support!